Journalists are actors in international relations, mediating communications between governments and publics, but also between the administrations of different countries. American and foreign officials simultaneously consume the work of U.S. journalists and use it in their own thinking about how to conduct their work. As such, journalists play an unofficial diplomatic role. However, the U.S. news media largely amplifies American power. Instead of stimulating greater understanding, the U.S. elite, mainstream press can often widen mistrust as they promote an American worldview and, with the exception of some outliers, reduce the world into a tight security frame in which the U.S. is the hegemon. This has been the case in Afghanistan since 2001, particularly as emerging Afghan journalists have relied significantly on U.S. and other Western news outlets to report events within their government and their country. Based on eight years of interviews in Kabul, Washington, and New York, Your Country, Our War demonstrates how news has intersected with international politics during the War in Afghanistan and shows the global power and reach of the U.S. news media, especially within the context of the post-9/11 era. It reviews the trajectory of the U.S. news narrative about Afghanistan and America's never-ending war, and the rise of Afghan journalism, from 2001 to 2017. The book also examines the impact of the American news media inside a war theater. It examines how U.S. journalists affected the U.S.-Afghan relationship and chronicles their contribution to the rapid development of a community of Afghan journalists who grappled daily with how to define themselves and their country during a tumultuous and uneven transition from fundamentalist to democratic rule. Providing rich detail about the U.S.-Afghan relationship, especially former President of Afghanistan Hamid Karzai's convictions about the role of the Western press, we begin to understand how journalists are not merely observers to a story; they are participants in it. Katherine Brown, Ph.D., assumed leadership of Global Ties U.S. on April 9, 2018. Katherine brings a wealth of experience from the media, nonprofit, and academic sectors, as well as the U.S. government. She is highly regarded in the international affairs and public diplomacy arena as a strategic, forward-thinking leader. 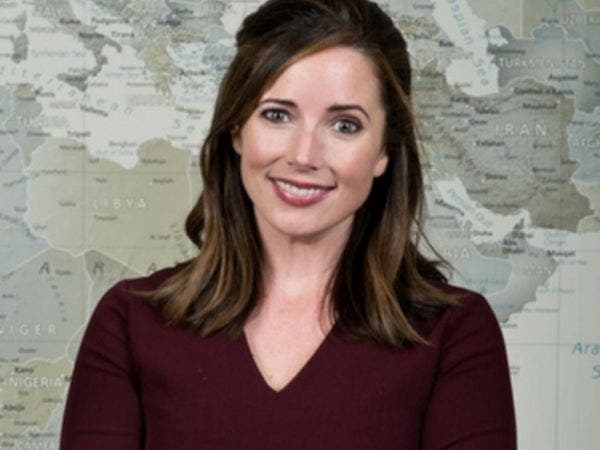 From 2013-2016, Katherine Brown served as Executive Director of the United States Advisory Commission on Public Diplomacy [JB emphasis], a body authorized by Congress to oversee and promote U.S. government activities that intend to understand, inform, and influence foreign publics. Most recently, she was a Public Policy Manager at Facebook, Inc. where she was also in residence as a Council on Foreign Relations International Affairs Fellow. Katherine also served on the boards of the Center on Public Diplomacy at the University of Southern California and the Global Ties Foundation. She is a non-resident senior associate at the Center for Strategic and International Studies and an adjunct assistant professor at Georgetown University. She received her Ph.D. and M.A. in communications from Columbia University and B.A. from the George Washington University.